This collection is named after the magnificent Loire river, the longest in France, which travels from East to West. 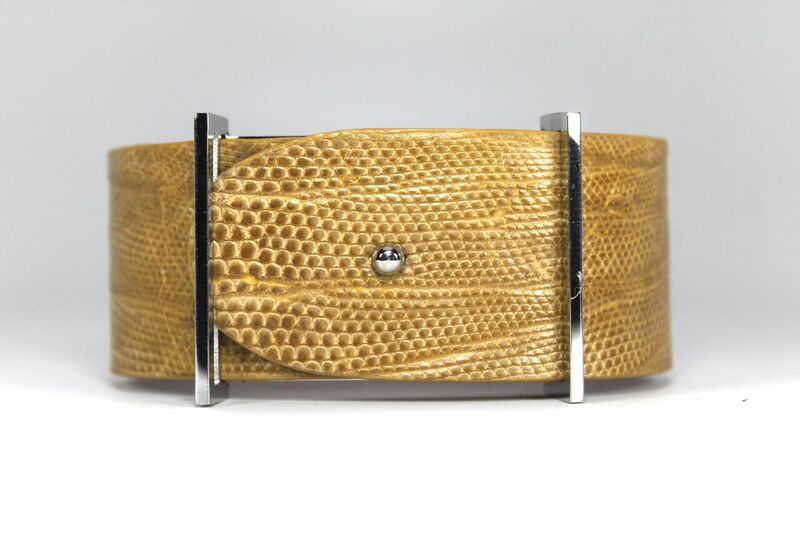 This sophisticated style is available in four types of leather, including calf, lizard, python, and alligator, and features a striking original buckle that comes in both silver and gold shades. The colors offered in the Loire collection include dark, warm, and vibrant tones, for a variety that allows you to pull any outfit together. Hand-selected lizard skins from Argentina are glazed using agate stones, which are usually found in volcanic rock, to give the small scale pattern an unassuming yet distinguished look. These skins provide a supple feel and elegance to our jewelry. 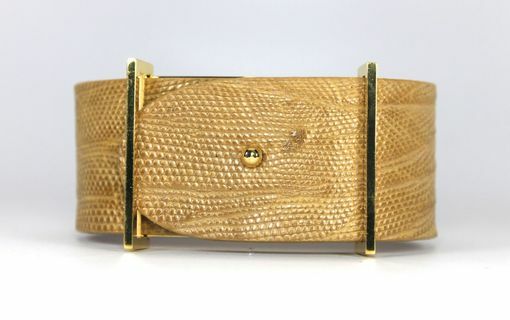 The wide array of colors, some with the natural markings of the animal still intact, make for an edgy yet natural look.